For a long time, there were really only two types of electric cars that were best exemplified by the distinction between a Tesla Model S and, say, the Chevy Spark EV. The Tesla Model S was a new approach to electric cars, as it was expensive, luxurious, and offered unparalleled performance when it debuted. It stood in great contrast to glorified golf carts and re-engineered Lotus Elises that came before it. It was the luxury EV. In contrast to that, one could find a car like the Spark EV, which is what you could safely consider a compliance car—an electric car built by GM just to help the company’s lineup of combustion-engine cars meet efficiency and emissions regulations laid out by the California Air Resources Board (CARB) and the states that follow it. But now, I feel there is need to clarify that electric vehicles have become a little more nuanced from these two extremes. Cars like the Kia Niro EV I just reviewed, or the Chevy Bolt before it, or the Nissan Leaf before both of them. These three particular EVs, along with the Niro’s sibling EV, the Hyundai Kona EV, are not luxurious, but they also aren’t incredible cheap-seeming, poorly-considered hack-jobs. We’re well at a point where you can buy an electric vehicle that’s essentially just a normal car. The Niro in particular is essentially a stretched hatchback masquerading as a trendy crossover. It has more passenger and cargo room than the Kona, Bolt and Leaf. It has a mostly-black, plasticky interior that wouldn’t be out of place in any of Kia’s other compact cars, like the Forte or Sportage. It is only sold in twelve states—California, Connecticut, Georgia, Hawaii, Maryland, Massachusetts, New Jersey, New York, Oregon, Rhode Island, Texas and Washington—but not all of those are strictly CARB-compliant states. More importantly, it doesn’t feel or drive like a slapdash creation. 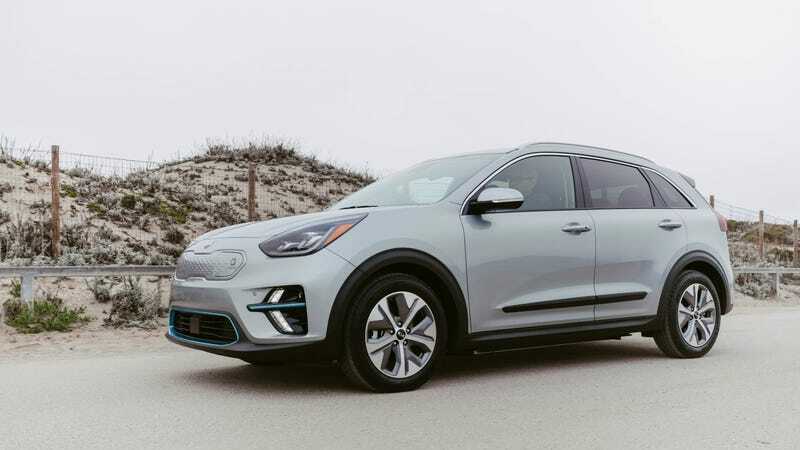 It’s literally a full-EV version of the hybrid Niro, except the battery and motor has been carefully built around the car’s platform in a manner that’s extremely similar to an electric car built from the ground up. It doesn’t have leather seats, or a giant touchscreen, or incredible styling, but it also offers so much more value with its comfortable interior and useful practicality than a Spark EV ever could. This is all just to say that, just because an electric car isn’t trying to take on Tesla, it doesn’t mean it’s a hack-job compliance car that nobody will want to buy. Even if a company is only selling the car in 12 states, it’s because those are the states with the most demand, with plenty of potential for growth. Modern EVs make a great second car because of how normal they’ve become. They’re just cars, now.